Henry (Harry) Alexander Baldwin, eldest son of Henry Perrine Baldwin and grandson of missionary Dwight Baldwin, was born in Pāʻia, Maui on January 12, 1871. Baldwin was educated in Honolulu at Punahou School. His parents later sent him to Phillips Academy in Andover, Massachusetts from which he graduated in 1889. In 1894, Baldwin obtained a degree at the Massachusetts Institute of Technology. He returned to work for his father and uncle on the Haiku sugarcane plantation; from 1897 to 1904 he became manager. In addition to extensive business interests (including Baldwin Bank, Haleakala Ranch Co, Maui Agricultural Co, Grove Ranch, Kahoʻolawe Ranch, Maui Telephone Co, and Maui Publishing Co,) Harry dabbled in politics. He was elected to represent Maui in the territorial senate and served several terms. He resumed his former business pursuits and later got back into politics, first as a State representative in 1933 and then member of the Hawaii senate 1934-1937, serving as president during the 1937 session. Horses were Harry’s passion, and riding was his respite. He kept a private stable at Kaluanui; occasionally, racing some of his favorites at the Maui County Fair and joining his brothers on the polo field, beginning a Baldwin Family tradition that continues today. In 1934, Ethel Baldwin, a community leader, founded the Hui Noʻeau Visual Arts Society. She invited artists from around the world to stay at Kaluanui in exchange for art lessons that she and her friends attended. When the family stopped using Kaluanui as a home in the 1950s, the estate became the property of Maui Land & Pineapple Company. In 1976, Maui Land & Pine granted the Hui Noʻeau Visual Arts Society use of Kaluanui property for a school of the visual arts. It has since under gone extensive historic restoration and repair. 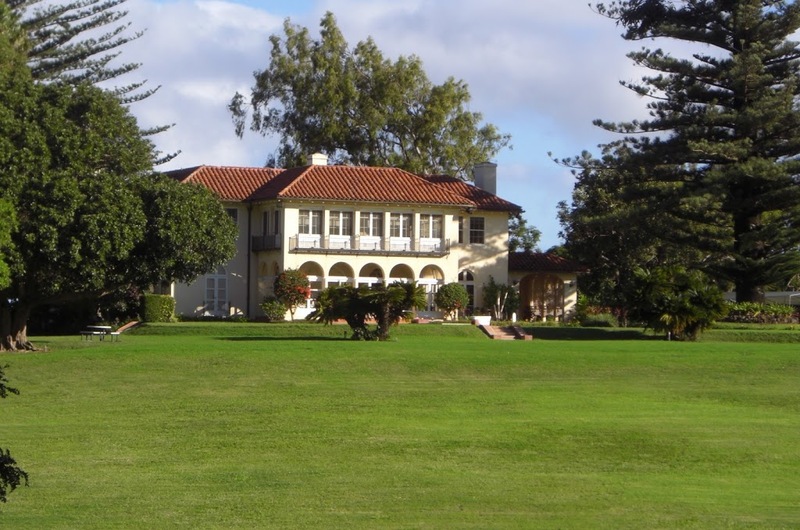 In June 2005, the Hui purchased the 25-acre property from Maui Land & Pine. The Hui Noʻeau Visual Arts Center is a non-profit organization that now owns the Kaluanui property and supports lifelong learning in the arts including public workshops and classes, lectures, exhibitions, art events, historical tours and educational outreach programs. The “Hui” has been a gathering place for some of the greatest artistic minds contributing to Maui arts and culture. The art studios at Hui Noʻeau offer year-round access to fine art equipment and technical supervision for all who choose to participate. The exhibition program and galleries of Hui Noʻeau play an important role in Maui’s growing art community, showing work from on and off island artists. The unique gallery shop features the work of Hui Noʻeau member artists and a wide variety of handcrafted items, books, jewelry, cards, posters and prints. The organization offers classes in printmaking, pottery, woodcarving and other visual arts. Folks are welcome to visit the gallery, which exhibits topnotch local artists, and walk around the grounds, which include stables turned into art studios. The gift shop sells quality ceramics, glassware and original prints. The Hui provides an array of programs that support lifelong learning in the visual arts including public workshops and classes, free lecture series, monthly exhibitions, art events, historical house tours and educational outreach programs with schools and community partner organizations. Harry Baldwin died at Pāʻia, Maui County, Hawaii, October 8, 1946, Ethel Baldwin died September 20, 1967 they are buried in Makawao Cemetery, Makawao, Hawaiʻi. The image shows the restored Kaluanui property. In addition, I have included other related images in a folder of like name in the Photos section on my Facebook and Google+ pages.